More than 150 people got into the Christmas spirit by taking part in Hartlepool’s annual Santa Run. Ward Jackson Park saw young and old don their best Father Christmas outfits to raise money for Alice House Hospice in the town for the 11th event. See if you can spot anyone you know on our pictures. The annual Santa Run in Ward Jackson Park, Hartlepool, on Sunday. The annual Santa Run in Ward Jackson Park, Hartlepool, on Sunday, December 2. 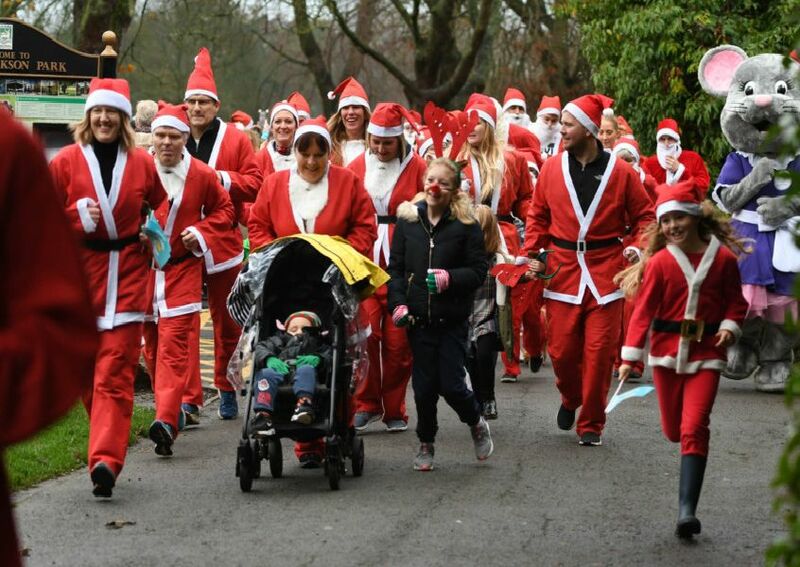 More than 150 people registered to take part in the annual Santa Run in Ward Jackson Park, Hartlepool, on Sunday. Hartlepool boxer Savannah Marshall got the annual Santa Run underway in Ward Jackson Park, Hartlepool.